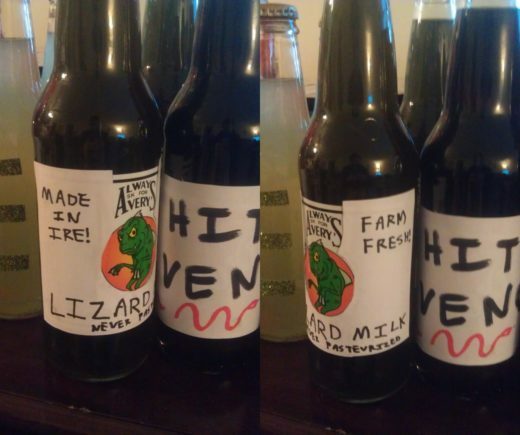 Lizard Milk. Their slogan is "Never Pasteurized." Lizard Milk is gross. 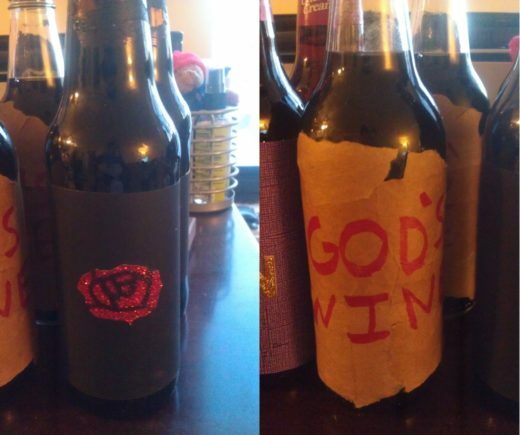 Black Rosewater and God's Wine, the most and least classy of the drinks. 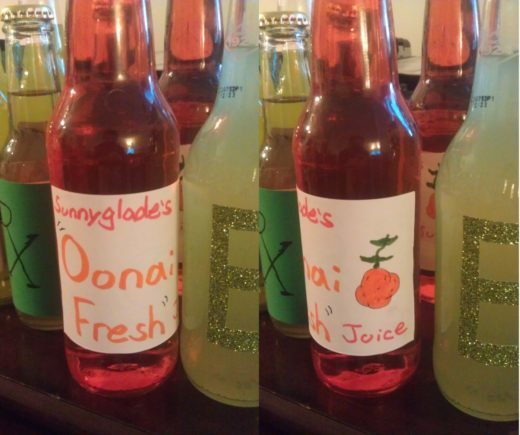 Oonai Fresh orange juice. The name sunnyglade was a joke on Roweena Shadowwood's name. For the City of Fire and Coin we asked each character what was drunk in their homeland. 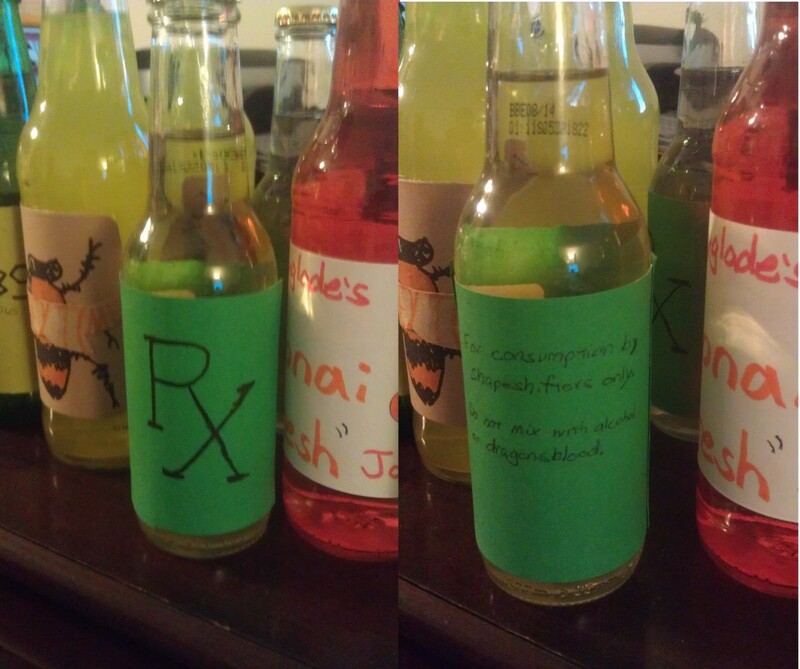 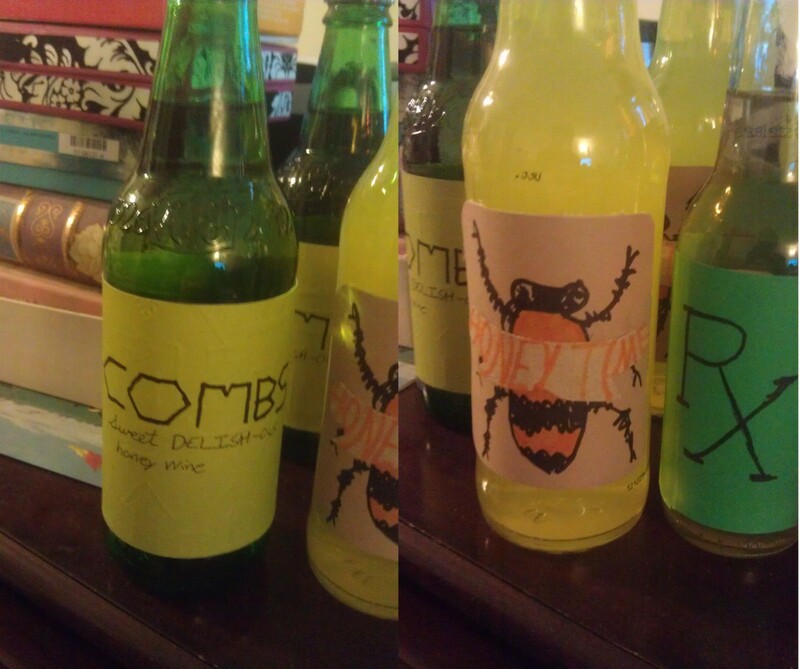 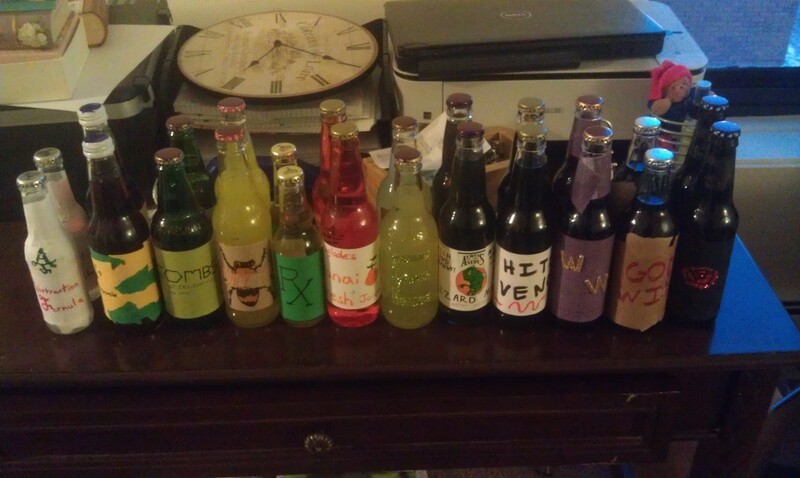 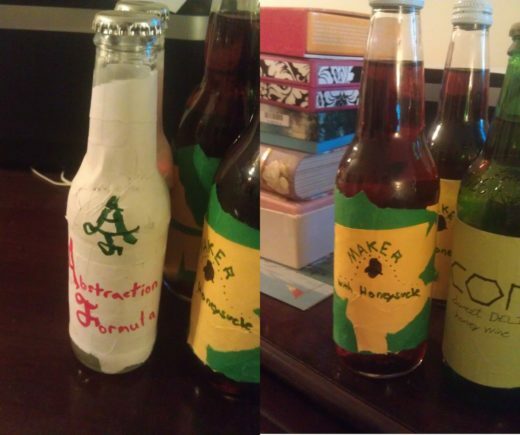 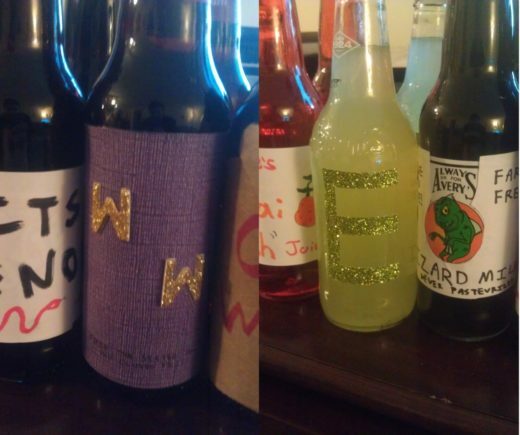 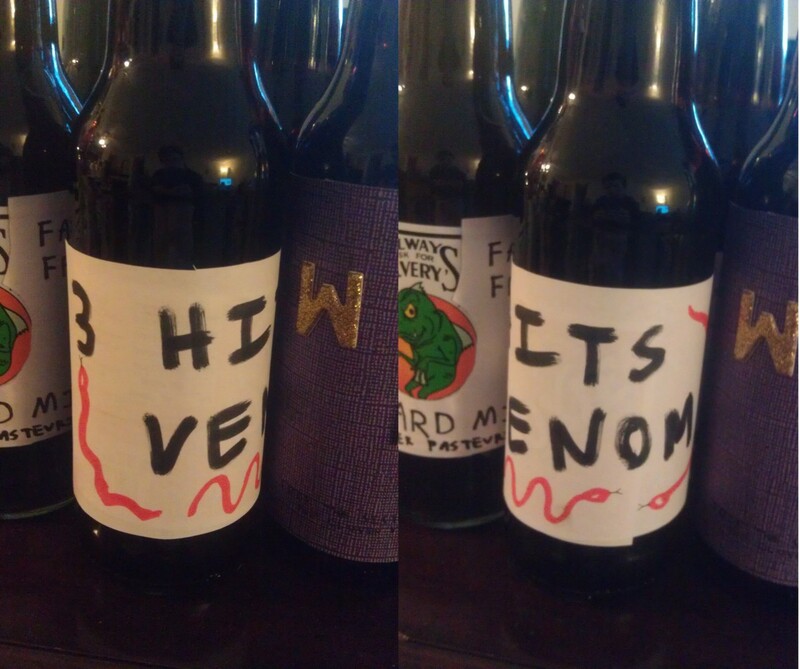 Then we bought a whole bunch of weird sodas and decorated them to match their answers.